The re-zoning of East New York’s Atlantic Avenue has brought a record sale to the neighborhood. CBRE brokered the $16.75 million sale of a mixed-used, transit-oriented development site at 2840 Atlantic Avenue. “This was the largest, most significant sale in East New York since the rezoning of Atlantic Avenue, which has addressed the affordable housing shortage and is helping to reshape this area of Brooklyn,” said Elli Klapper. Klapper and his CBRE Tri-State Investment Properties colleagues Charles Berger and Jay Gelbtuch represented the seller, LSC Development, and procured the buyer, the NYC Housing Partnership, a city-authorized administrative agent for affordable housing. The parcel included three individual lots totaling 43,000 s/f and two industrial buildings comprising 76,000 s/f which were once home to Empire State Dairy and later Borden’s Diary Factory . According to Klapper, NYC Housing Partnership will develop a 14-story residential complex above ground-floor retail. 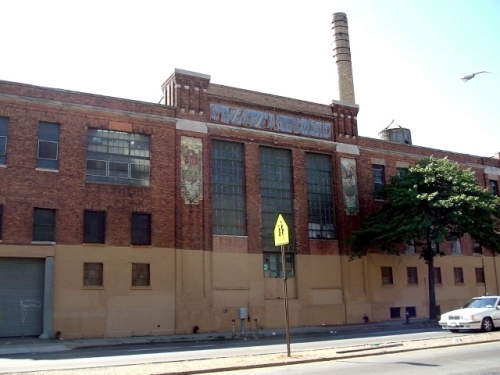 The 2840 Atlantic Avenue properties were built in the early 1900s and the site features some of the most historic and architecturally significant industrial buildings in East New York. LSC Development bought the site for $11 million last year after the city re-zoned East New York as park of a co-ordinated plan to promote affordable housing, encourage economic development, create pedestrian-friendly streets and invest in community resources. The Plan is projected to created nearly 6,000 units of housing in the next 15 years, with deep affordability commitments from the City. The City also committed $267 million in capital projects and services as part of a revival of communities. Among the new homes, Phipps Houses is building a 1,165 unit fully-affordable development called Chestnut Commons that will include three 14-story buildings on a 4.5 site expected to be completed by 2022. Another 230 homes for extremely low-income and formerly homeless residents are being built on Glenmore Avenue. Construction is also underway on a 1,000 seat school on Atlantic Avenue.